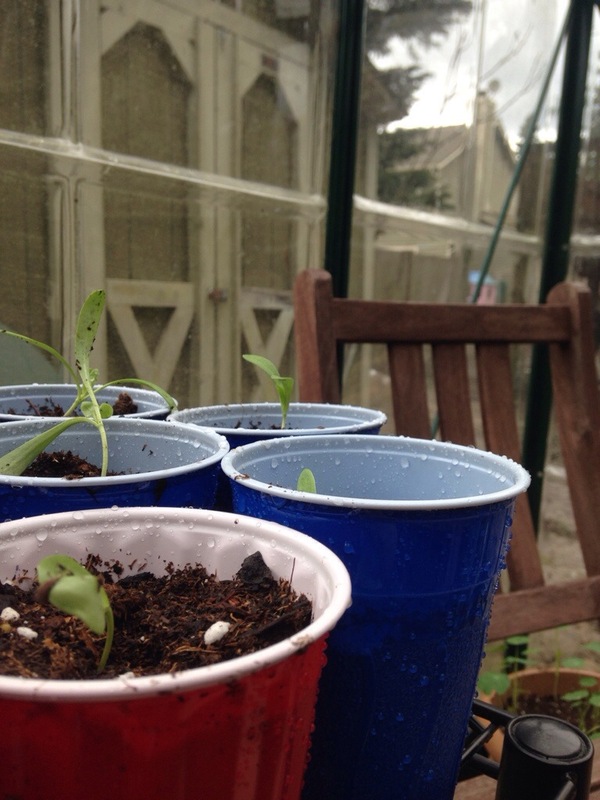 From just sprouting at the beginning of the month to cups by the end of the month. Things are trucking along! 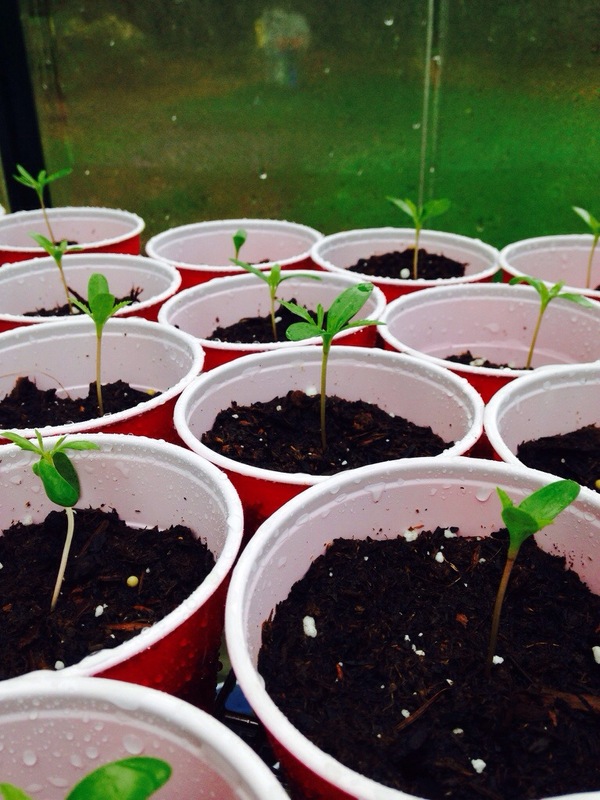 Marigolds, calendula, and a few types of tomatoes are in their cups and growing in the greenhouse. 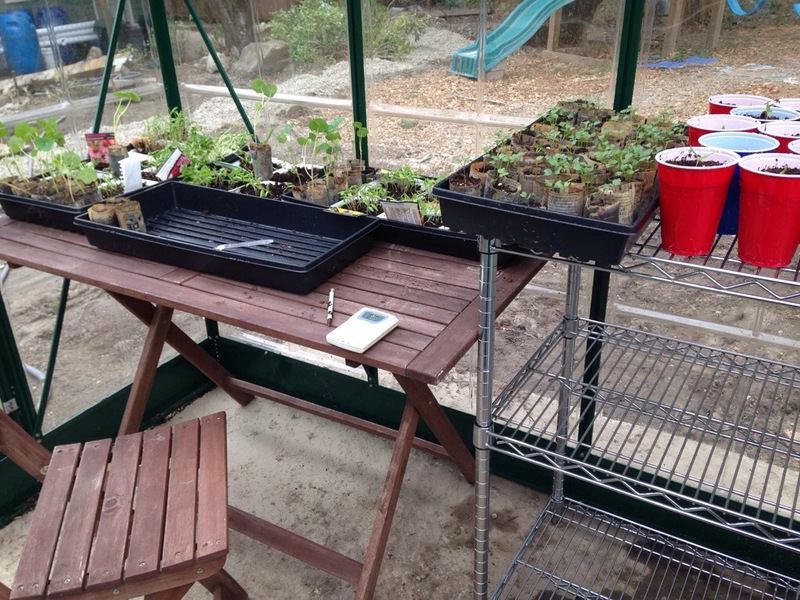 I am still waiting on the pink cosmos, echinacea, peppers, and a few types of tomato to grow large enough to transplant. 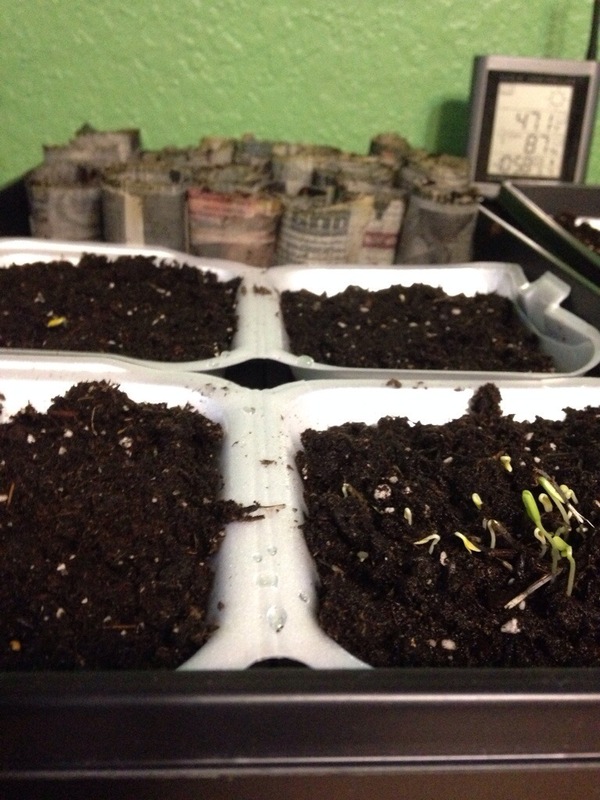 I threw out the yellow cosmos and the broccoli sprouts- they got too leggy and I didn’t want to fuss around with them. There are lots of things that do well for me, I don’t have time or space to spend on needy plants! 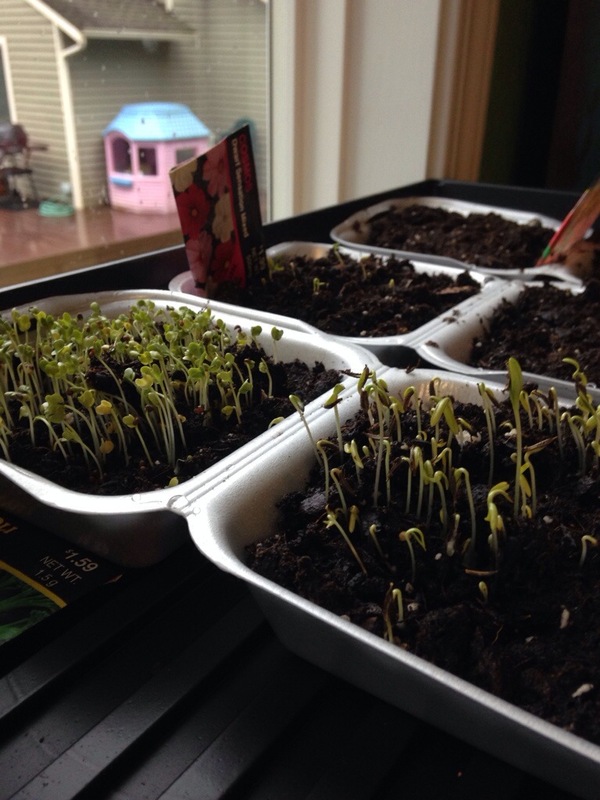 Seeds are starting to sprout! 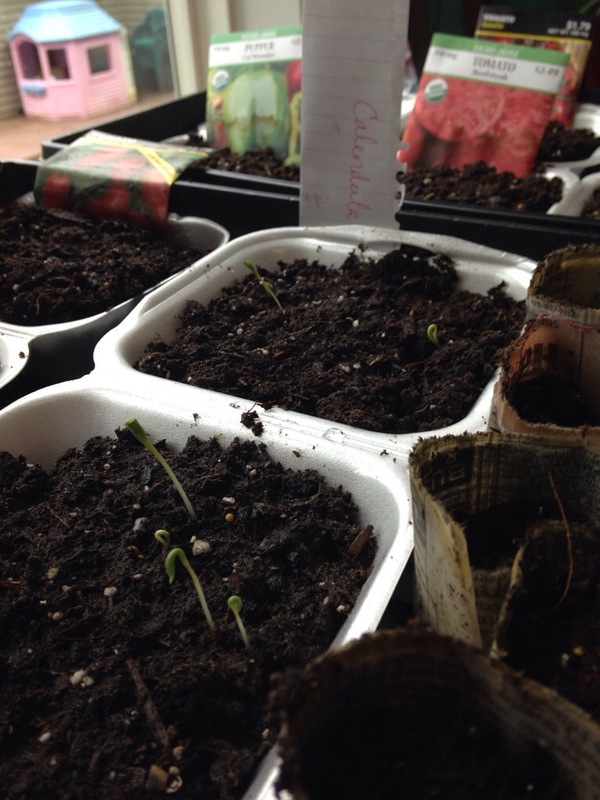 So far we have cosmos, marigolds, broccoli, and cherry tomatoes. I am still waiting for the peppers, more calendula, and the larger tomatoes. 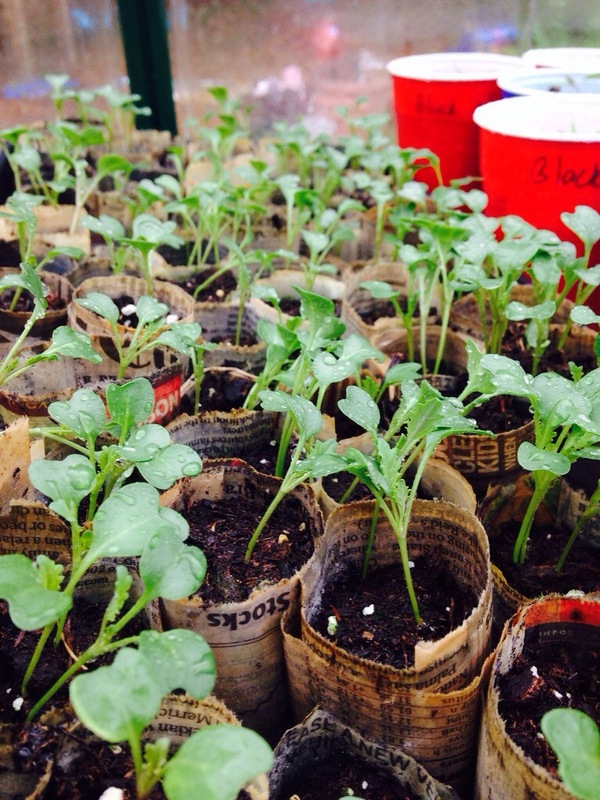 After these sprout indoors I move them to the greenhouse. A month ago our nights were in the tens, but now that March is here we are in the 40’s at night and 50’s during the day. 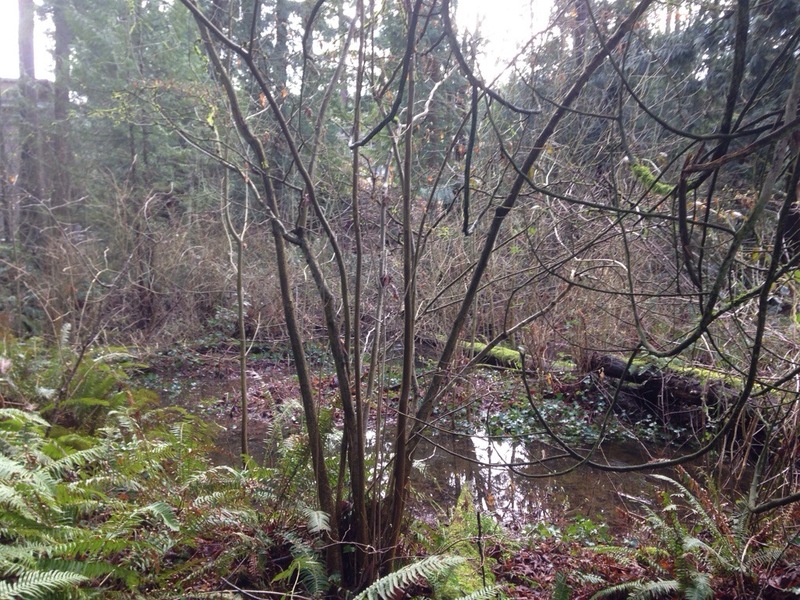 We are also having inordinate amounts of rain- the basement is currently flooding (measured in gallons, not inches thankfully) and there is a large pond formed just beyond our yard in the greenbelt. Our three- year-old was absolutely overjoyed to find out much of the backyard is under three inches of water and had fun leaping and jumping into puddles all afternoon while his dad filled sandbags to keep the water from flowing in under the doors. 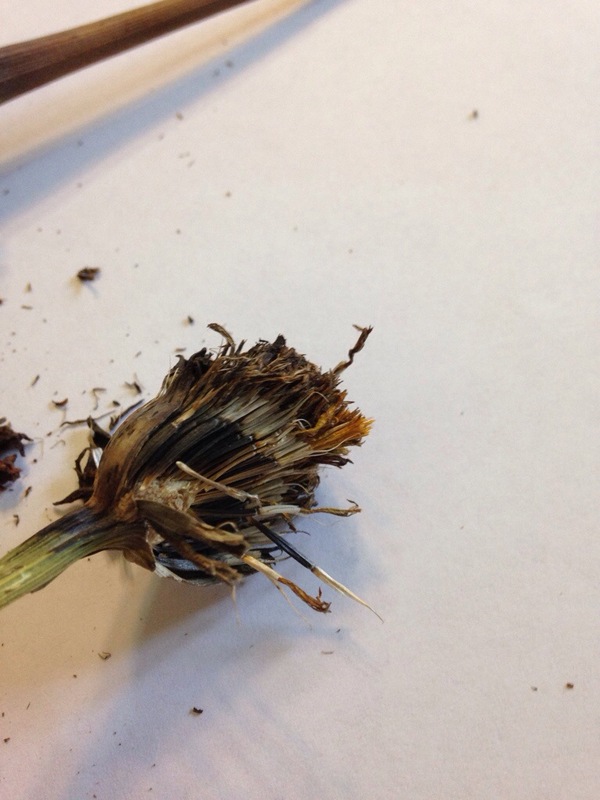 Peel off the outside, twist off the fuzz on top, and pinch them out. 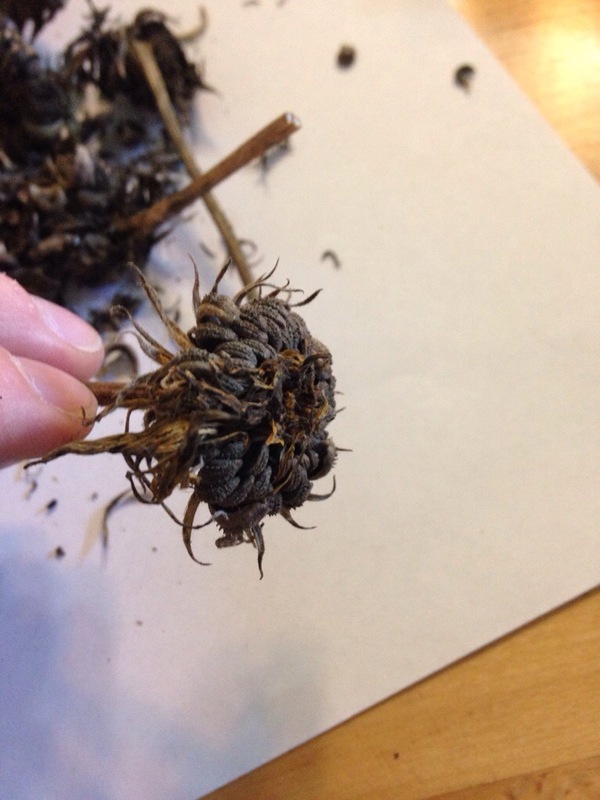 Calendula flower head- these were a little trickier, but I pulled the seeds off best I could, loaded them onto a plate, and gently blew the chaff away. Not perfectly clean, but it will do. 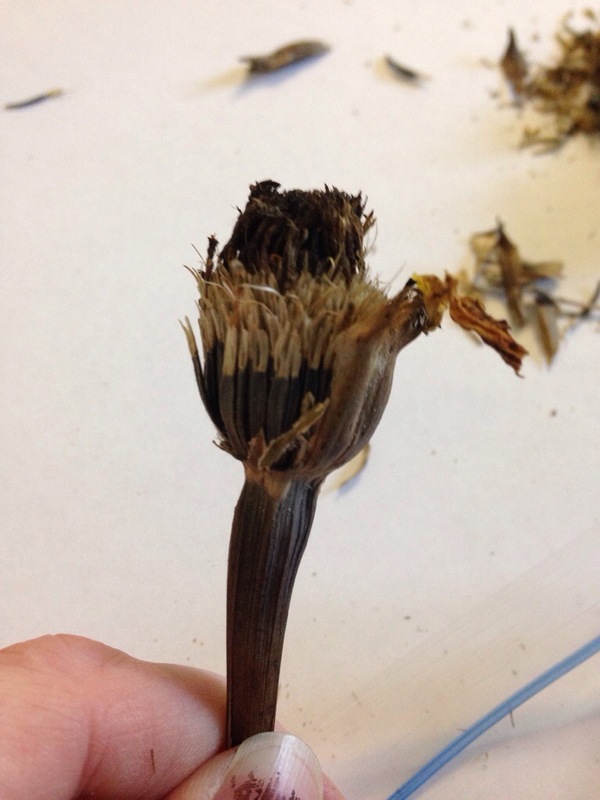 At the end of the season last year I grabbed a few promising, dry, flower heads and stuck them in paper sacks. They went on a shelf and were forgotten until yesterday. 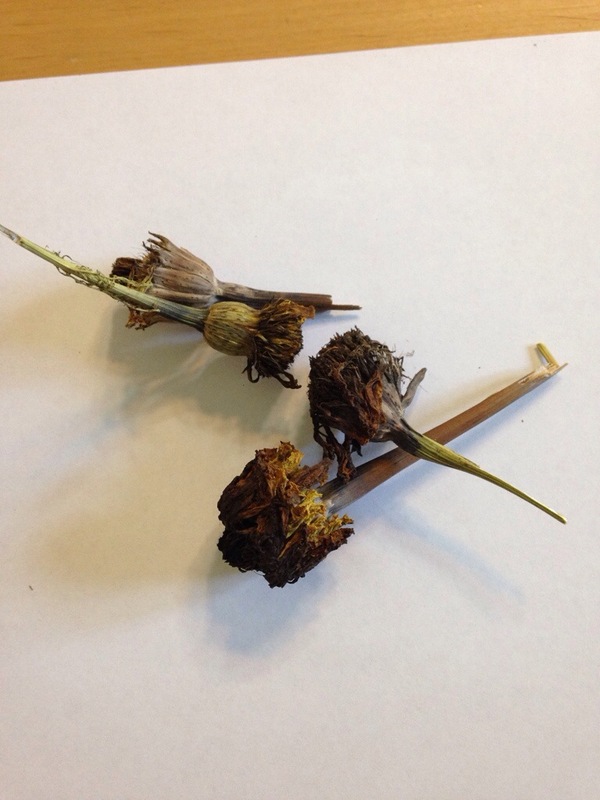 I harvested the seeds out of my marigold and calendula flowers, and fingers crossed that they germinate! The marigolds I am not too fussed about- they are large and tall Crackerjack mix. They look nice in the garden and are easy to grow. The calendula I am hoping for a larger patch this year- I ordered a sampler seed packet last year and only 2 or 3 plants came from it. 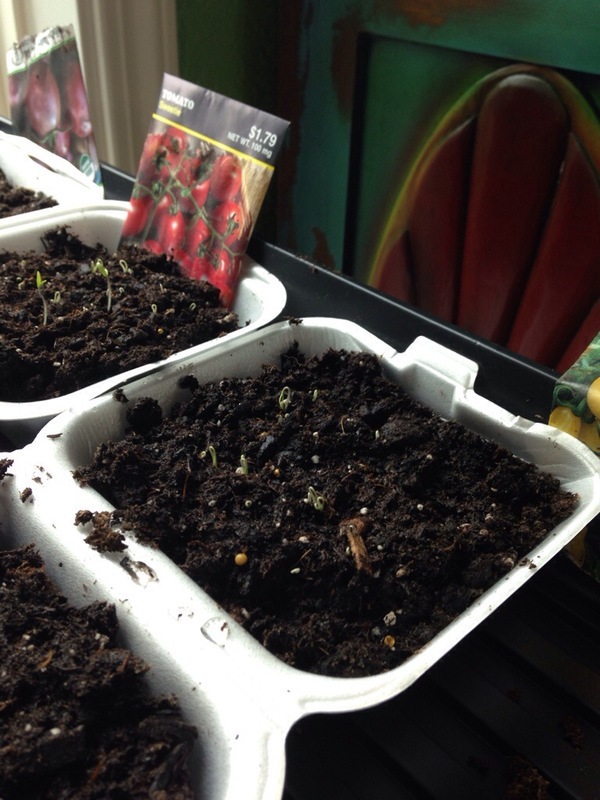 I have a LOT of seeds now, so here is hoping!